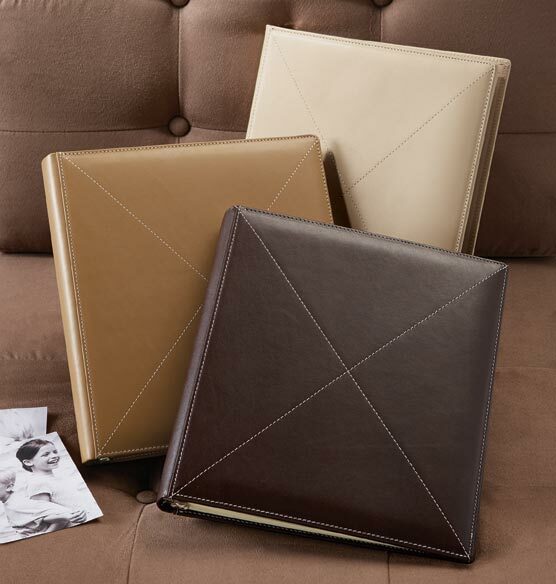 Organize a collection of memories with this elegant Cross Stitch soft leather photo album. 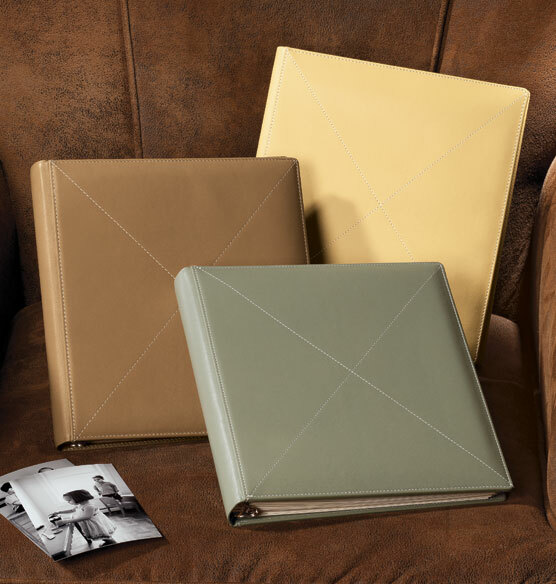 This refillable leather photo album is ideal for storing photos or turn it into a treasured scrapbook. Excellent quality; I like option of selecting which pages to insert - so can be used either for memory book or photo album or combination. I was MOST appreciative of the effort made to get the items here by Christmas. I ordered past your deadline and was duly warned. Nonetheless, there they were Christmas EVe. Kudos to whomever handled the order. This album will look nice on one's shelf, with the lovely rich colors that are available. It holds many pictures and the suple leather feels good in your hands. There are a variety of page styles to choose from. It is an all around "good thing" as Martha Stewart would say. It deserves more reviews. This is a beautiful notebook. Nice leather, and the stitching seems even and tight. Glad I got it! This album looks and feels expensive, with leather inside and out. The construction is A-one, easy to add pages to and to load with photos. I get compliments on the materials it's made of. It gets as much interest as the photos do! I liked the color choices and the stitching design on the album cover. I have 3 of this style. Wanted to match. I have bought 4 of these beautiful albums in different colors. All the colors are true to pics and are really nice leather. Good quality product. I have 5 albums of this style already and am very pleased with the quality. This is a new color for me. Quality of product and look. Nice, quality album with great selection of colors. Plain and simple BUT classy!!! I already have purchased three in mocha. They are an easy to handle leather album. They will last for years. I have an older Exposures photo album, that is this size. I wanted to a couple more photo albums and this was the closest item to what I own. It looked like good quality and I liked the color choices. We already use these for our practice's before and after photos. They are very nice looking. 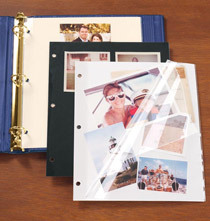 Was looking for a quality photo album to start our first family album and this looks quality, not cheesy, and great appearance. This is the best album ever. I already have 2 of them and need one more to finish my project. VERY pleased. It matches others purchased from you. I have ordered this album before and liked it very much. I already have one of these albums and I like it. It is beautiful and well made. The album came in the color I was looking for and it has a classic look. I buy all of my photo albums from Exposures. They are sturdy and have lasted for over two decades without looking worn. We have the same album - which we love, and wanted an additional one but in a different color. "I have used this album and photo inserts for all my family photographs"
Iced Latte was on backorder. 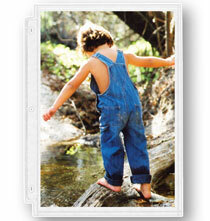 Have been purchasing exposure photo albums for the the past 25 years. Love the leather cross stitch albums. Wanted a leather album for my son to keep some of his favorite images from his school activities and his various certificates and awards. 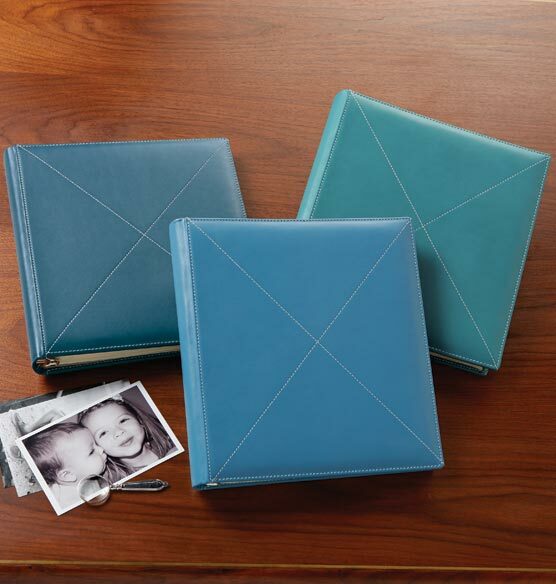 Ring albums with pocket pages are versatile and protect your priceless photographs and documents. These albums are beautiful. My parents passed away recently and I am taking all of their photos and putting them in chronological orders. I have 11 albums so far. Grandparents pictures stared in the mid 1850's. Each family member has a file and storage box. I put the diplomas, wedding license, saved letters, etc. in the boxes. This experience has been amazing and cathartic. I am crying one minute and laughing the next. I recommend the albums and boxes for everyone. Take the journey! I thought this was a beautiful, quality, photo album. I wanted something special for my daughter's 21st birthday album. 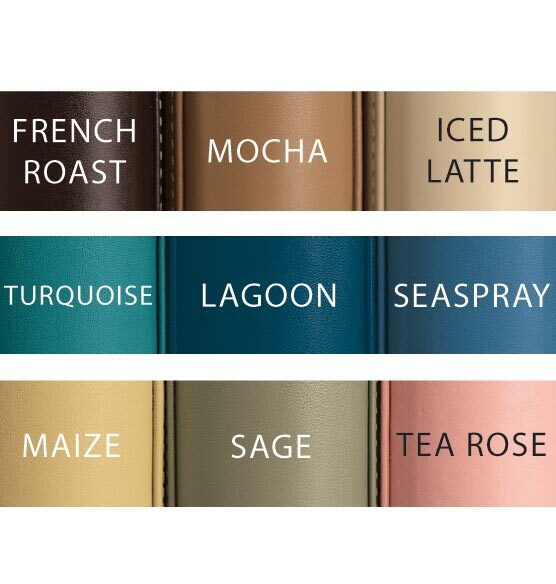 I chose the Lagoon Blue color with personalization. Needed Ring Binder to be able to use mylar sheet protectors. These albums are attractive and nice colors. I chose these binders because it is leather, had good reviews, and is a size I already use. How can I see the color selections? BEST ANSWER: Thank you for your question. There is a picture below the may big picture that shows all the colors. Click on the picture and it will appear larger for better viewing. We hope this information will be of help to you. Does this album work with 8.5" x 11" photo sleeves? BEST ANSWER: I have several of these albums. I have used both the 8x10 and the 8 1/2 x 11. Both work fine. The later just has extra plastic surrounding the opening for the photograph. Not sure what the advantage is. Hope you enjoy your album. The quality is outstanding! Thank you for your question. Most of our 3 ring pages will work including 8 1/2 x 11 pages. We hope this information will be of help to you. Does this album allow you to put 8x10 photos in the insert sleeves? BEST ANSWER: Thank you for your question. Photo pages are sold separately, they do not come with this album. 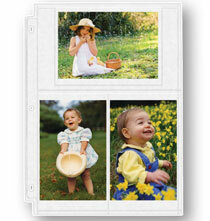 We do offer photo pages that will fit in this album that will hold 8 x 10 photos. We hope this information will be of help to you. Yes. I store 8x10 matted art in standard 8.5x11 pages. 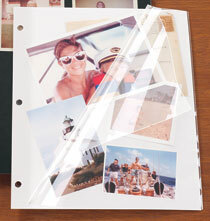 You can get pages that are made for 8x10 photos, that fit in 3 ring binders. If you purchase pages for 8 x10 photos. Are all the colors still available? BEST ANSWER: Thank you for your question. The Tea Rose is no longer available, all the rest still are. We hope this information will be of help to you. 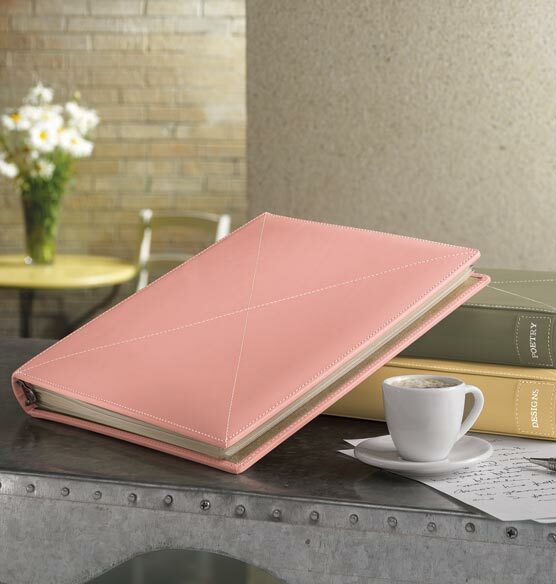 Are you permanently out of the TeaRose color in the leather cross stitch album? BEST ANSWER: Thank you for your question. Unfortunately we no longer carry that color. We hope this information will be of help to you. How many photo pages should be in this album? BEST ANSWER: Thank you for your question. This album holds up to 40 – 3-ring photo pages (3-4 sets). We hope this information will be of help to you. can I still order spine patch for the cross stitch albums? BEST ANSWER: Thank you for your question. Unfortunately the Cross Stitch album does not have a spine patch available. We apologize for any inconvenience. BEST ANSWER: Thank you for your question. It will depend on what photo pages you use for the album. The album can hold up to 40 pages. We hope this information will be of help to you. BEST ANSWER: Thank you for your question. This album is not sold with pages in it. The pages are sold separately. This album can hold any of our regular three ring photo pages. We hope this information will be of help to you. WHICH ONE IS THE SEASPRAY? BEST ANSWER: Thank you for your question. Seaspray is the medium blue color. We do offer a photo showing which each color in called. The photo can be found right below the the large main photo. We hope this information will be of help to you. How do I personalize this??? BEST ANSWER: Thank you for your question. This album is not offered with personalization. We do however offer a variety of spine patches that can be personalized and applied to any album. We have included a link below to our selection of spine patches. We hope this information will be of help to you.